This Pair of Space Age Table Lamps by Hillebrand, 1970s is no longer available. 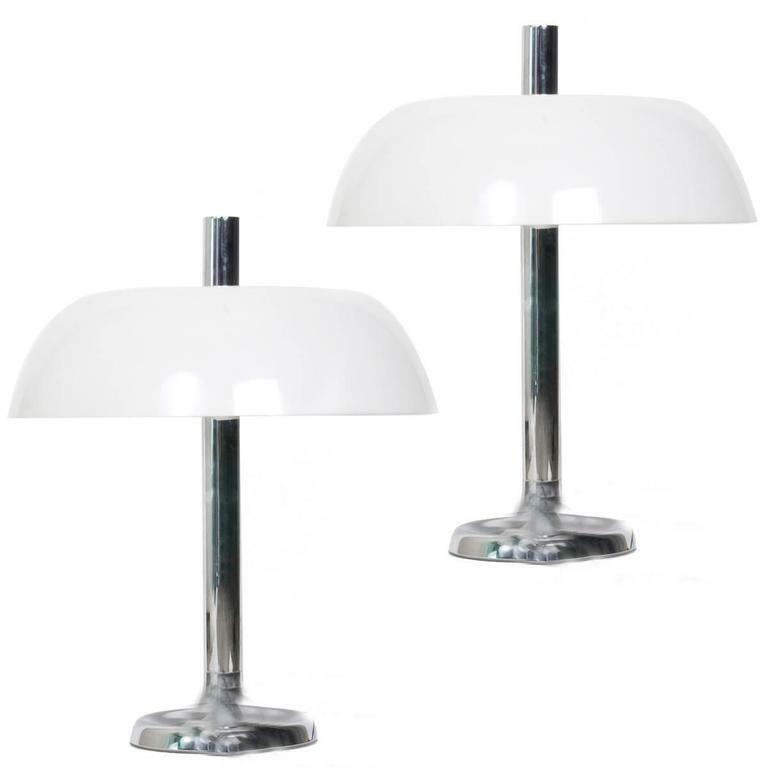 Pair of large table lamps with three E27 bulbs by Hillebrand, Germany with a chrome base and a white plastic molded shade. With on/off switch. 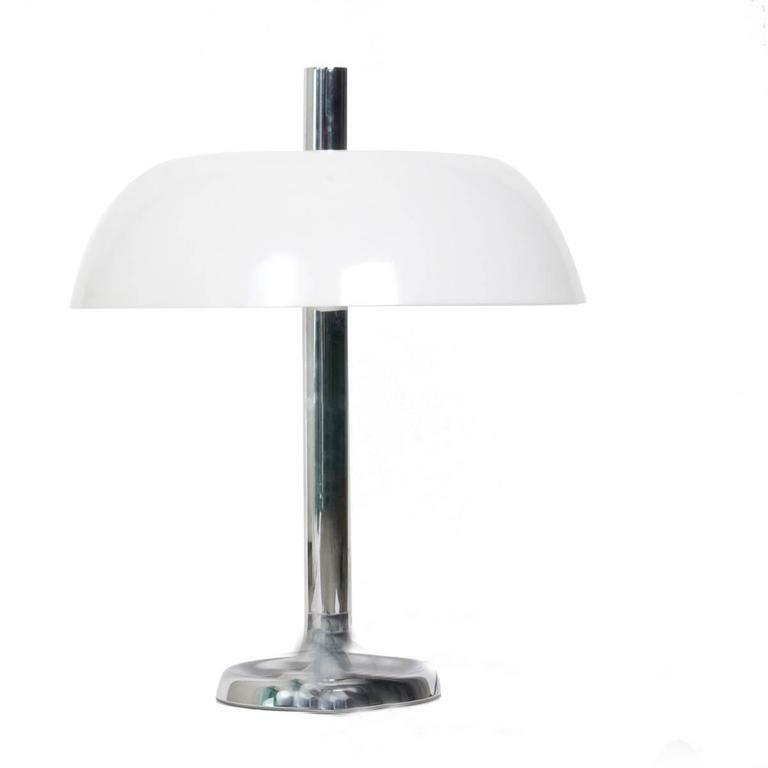 The stylish elegance of this lamp suits many environment, from Mid-Century to Danish modern and Space Age. Heavy quality, and in a very good vintage condition. Well- wired and ready to use. We will pack the lamps safely and double boxed for a save transport. Perspex and chrome metal Excellent condition Perfect working order. Vintage Design: - Opaline glass table lamp. - Produced in Portugal in the 1970s. - In its original state and fully functional. A set of two 1970s half chrome and half natural cork globe table lamps by the American lighting company, Laurel . Newly Rewired with silver silk cords. Amazing Italian table lamp made by Targetti Sankey in perfect working order. It works with both 110 and 220 Volt.